Obviously that sounds contradictory so here is a story that explains this thought: There is a legend about the passing of Guru Gobind Singh. After knighting the Khalsa as the next Guru “Whenever five of you gather in my name I will be there”, Guru ji left his body. In full view of the congregation the Great Guru's body burned in a pyre and he is said to have merged with the Infinite. Read the history here. The Khalsa had seen his body perish in fire with their own eyes and the wood cutter saw him riding away with his own eyes. Clearly the wood-cutter was an honest and reliable man because the sangat accepted what he saw as true. It didn't matter whether he had seen a spiritual vision, like a mirage, or if he had seen the real physical Guru, because maybe what the sangat had seen was a vision. Guru simply defies definition. 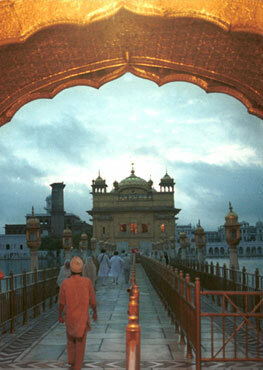 History states that the Khalsa were amazed. They concluded that Guru ji simply something beyond, and shows Himself in a way that we can understand just to teach us. Today it is the same for us. What we understand (and supposedly know about Guru) is good for us, we learn from his example and teachings. Yet Guru ji remains beyond our understanding and will never fit in the box of our perspective. 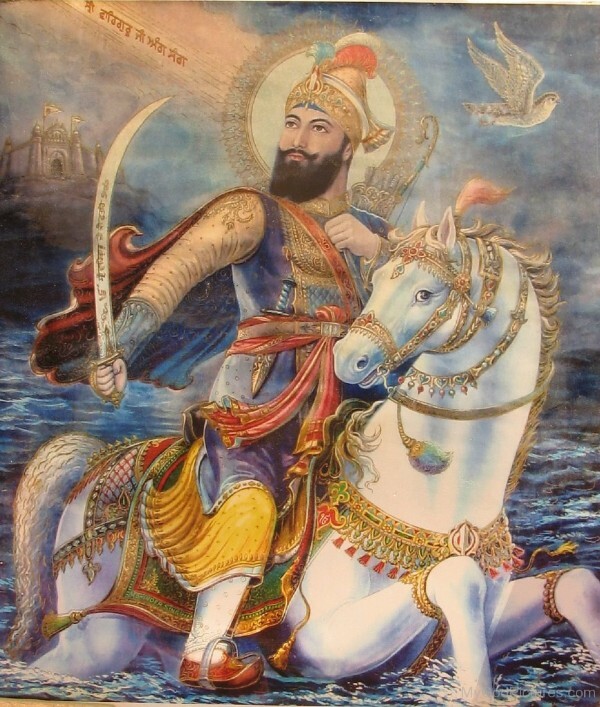 Sometimes, I have to admit, I do take it for granted that I know about Guru Gobind Singh. I am decently versed in Sikh history, I’ve read banis written by Dasam Pita ji, I’ve had inspirations and personal moment with Guru ji. But I don’t truly know him. If I say that I know him, than I am canceling the possibility that there might be still more to know. And there must be much more to know! 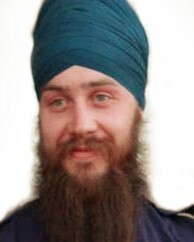 For example, perhaps Guru ji gave me a message today and I didn't notice it. Surely he has sent me messages many times but I couldn't percieve the invisible. Guru ji is more than I know and I don't see that as a theory or interestig idea. In his physical life it would be hard to miss his amazing influence and yet even then he planted seeds that others couldn't see. Guru ji is informing us that in addition to the amazing deeds he showed us to our own eyes, there are more works that he did that no one knew about, that no one could write about. We have our understanding of history and stories, yet what if he is here right now? How is he personally guiding me today? What does his invisible presence feel like in this very moment? He never stopped teaching the sangat and amazing them with new revelations. What is he revealing to us right now? This whole subject is like telling un untellable tale, akath katha, speaking about what can not be described. All we can do is use our intuition and connect to our souls. His voice can only be heard in our hearts heart. It is the feeling, not a speach, in the depth of our heart where we can talk with our Beloved Guru. Words will never do justice. That is not to say we shouldn't also, secondarily, use words. Many through history have given virtuous attempts to write about our Guru, who is beyond. A loving disciple, Bhai Nand Laal ji, gifts us the greatest description of being in the presence of Guru ji. 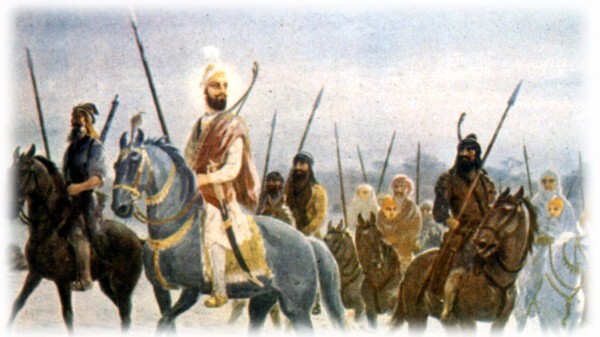 "Guru Gobind Singh is the helper of the poor. Guru Gobind Singh himself has the help of God." When you listen to this shabd you can picture it more and you do feel more connect with Guru. Your mind can recreate his court. On this birthday of the Great Guru, let us read and or listen to this shabd while bearing in mind that it does not fully capture what Guru has done, what Guru ji is doing today. Let us gather as friends, like companion wives who tell stories of thier husband Lord. Let us imagine together, and connect to the feeling beneath the stories. Who is Guru ji going to touch this year? How will he work God’s plan through us all? What miracles might turn the tables? Guru ji, I do not know your works and I can not fathom your love. I pray that the Naam you are fully merged in, may I be more merged in as well. 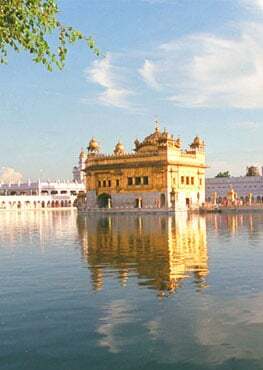 Here at SikhNet, we have dedicated ourselves to spreading the teachings of the Guru to people from every walk of life, as a way to establish peace and harmony on the earth. Your donation helps us continue that mission into 2016 and beyond.